Don't Bury Your Head In The Sand - Estate Planning For The Beach House - Ward and Smith, P.A. The recent explosion of beach real estate prices has enhanced significantly and unexpectedly the wealth of many North Carolina residents. Individuals who once considered relaxation and family time the true value of their beach property now suddenly are faced with estate tax concerns that have risen faster than a high tide during a full moon. Moreover, selling beach property to take advantage of the unexpected spike in value can result in painful capital gains tax consequences. Careful planning, however, can help to alleviate these tax issues. Consider this hypothetical example: In 1968, Mr. and Mrs. Smith purchased a lot on Wrightsville Beach for $40,000. They built a small cottage on the property and spent many summers enjoying the sand with their young family. The Smiths improved the cottage only modestly over the years, spending approximately $110,000 on capital improvements. In the 1990s, nearby houses sold for several hundred thousand dollars. This rise in value did not concern the Smiths because they still viewed the cottage as fun, not funds. In 2005, however, their eyes were opened to tax concerns when their neighbor's house sold for $2,500,000. Suddenly, the total value of their estate rose to greater than $8,000,000. The tax consequences of this appreciation in value were significant. This article will introduce both estate and capital gains tax reduction strategies for the suddenly wealthier Smiths. If the Smiths decide that preservation of the cottage for use by their children is the main goal, then two estate tax reduction opportunities exist. These include the Qualified Personal Residence Trust and the Family Limited Liability Company. The Qualified Personal Residence Trust ("QPRT"). A QPRT is an irrevocable trust that expires after a term of years. The Smiths could transfer their beach cottage to a QPRT and retain the exclusive right to use it rent free for the duration of the trust term. At the end of the trust term, the cottage would belong to their children. Most importantly, the QPRT could provide significant tax advantages. First, the transfer of the cottage to the QPRT would remove it from the Smiths' estate at a reduced value. The cottage's value would be reduced for gift tax purposes by the value of the Smiths' right to use the cottage for a number of years. The gift would be for this reduced value only, not for the cottage's full value. Second, the value of the gift could be reduced (or "discounted") further by having Mr. and Mrs. Smith each transfer one-half of the cottage to a separate QPRT. This would produce a "fragmentation" or "split interest" discount in the 10% to 20% range for each one-half interest. Separate gifts also could help mitigate the major risk of a QPRT - failure to survive the term. If the person making the gift to a QPRT does not survive the term, then the tax benefits fail. Separate QPRTs would increase the likelihood that the Smith family would benefit from the tax planning even if one spouse did not survive the term of his or her QPRT. Finally, all appreciation of the value of the cottage from the date of its transfer to the QPRT would be removed from the Smiths' estate. This could be a significant benefit if coastal real estate prices continue to rise. The Family Limited Liability Company ("FLLC"). A second estate tax reduction option for the Smiths is the FLLC. An FLLC is a company established under North Carolina law. An Operating Agreement typically sets forth the governing rules of the FLLC. In the estate planning context, management of the FLLC often is segregated from ownership. The Smiths could install themselves (or anyone else whom they desire) as managers of the FLLC. They also would be the initial owners of the FLLC. There are several benefits to the use of this vehicle to transfer the cottage. First, each of the Smiths could gift interests in the FLLC to family members annually using the $14,000 annual gift tax exclusion. If they have three children and eight grandchildren, then this could result in $308,000 of tax-free gifts per year ($14,000 x 2 x 11). In just five years, this could result in $1,540,000 of tax-free gifts. Second, discounting, similar to that described for the QPRT, would be available to the transactions. Reducing the value of the beach house by 10% to 20% per gift would accelerate the amount that could be transferred free of gift and estate taxes. Finally, the FLLC structure also would allow the Smiths to establish rules for use of the beach cottage after they are gone. This could decrease the chance for fighting over the cottage among their children. If the Smiths decide that proceeds from the sale of the cottage could help them in their retirement years, then a Charitable Remainder Trust would help to solve the capital gains tax concerns. It also would result in estate tax reduction. The Charitable Remainder Trust ("CRT"). A CRT is an irrevocable trust that can benefit its creator for life and the creator's favorite charities after his or her death. With this technique, the Smiths would transfer their cottage to a CRT. The Trustee of the CRT then would sell the cottage and invest the proceeds. The Smiths would retain the right to benefit from the sale proceeds in the form of annual payments to supplement their retirement income. They also could provide that charities of their choice will benefit from the assets remaining in the CRT at their deaths. Several benefits would result. First, no capital gains tax will be owed as a result of the sale. All of the proceeds can be reinvested to produce the income stream. Second, the tax value of the Smiths' estate will be decreased by the value of the cottage. This will reduce the potential for estate tax at their deaths. Finally, a portion of the income could be used to buy a life insurance policy on the Smiths for the benefit of their children. The proceeds could replace the value of the cottage (or at least a portion thereof) in a manner that would not increase the overall estate tax consequences. With this added step, the family and the charities all win. The recent extraordinary growth in the coastal real estate market has enhanced the wealth of many people who have considered their beach property as a "family getaway." Unfortunately, this sudden increase in wealth can result in unexpected estate and capital gains tax concerns. 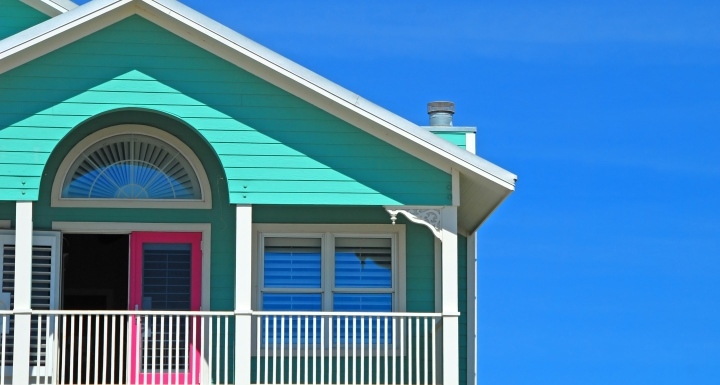 Careful planning can produce helpful tax reduction strategies that either facilitate family retention of the beach property or allow the family to benefit from the value of the property with less capital gains tax effects.